Copy of Traditional Skills — sailcargo inc.
During the course of the Build Project - approximately three years - SAILCARGO INC. will offer hands-on apprenticeships, or internships. The Traditional Skills Program will offer hand-ons learning in wooden shipbuilding and small boat construction; traditional rigging; blacksmithing, fine woodwork and sailmaking. 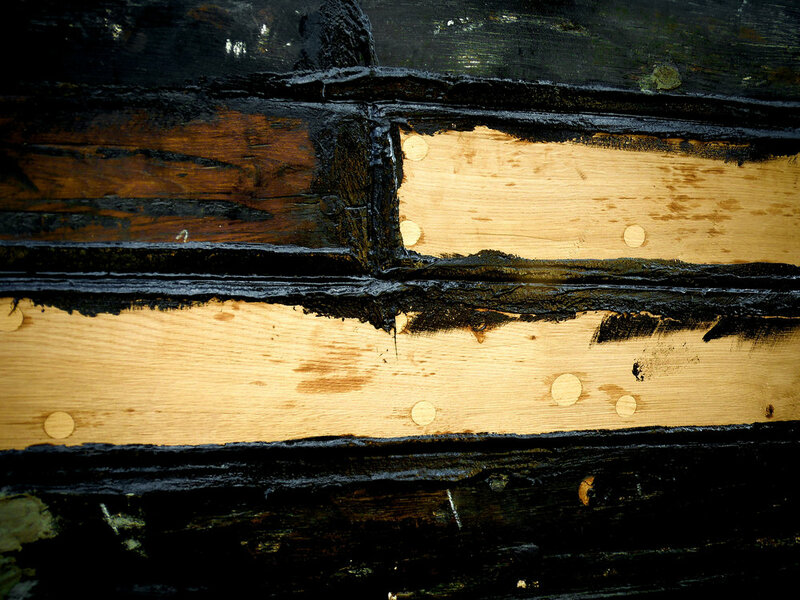 A traditional Liverpool splice prior to being tarred, wormed, parceled + served. Galvanized wire with tarred marlin. During the first major refit of the sailing cargo vessel Tres Hombres in Den Helder, the Netherlands. Our Graphic designer Brenda Zhang practicing newly acquired carving skills on a Nautical Star in the Monteverde Cloud Forest, Costa Rica. A glimpse of Lynx's Cloud Forest wood shop. This Cedro Amargo will be used for Ceiba's traditional helm. In-house shipbuilding apprenticeship headed by trained shipwright Paul DeNoble. We are considering partnering with accredited shipbuilding schools from Canada, the Netherlands, England or the US. If we do partner with a school, we would offer our own, less formal training alongside their structured curriculum. To be determined. We have yet to find our Sailmaker. As this important task will not begin for some time, we are not focusing on the production of sails just yet. However, please contact us today if you are interested in being this person - there's nothing like planning ahead! We are also hoping to partner with a sailmaker who is open to using experimental material - such as sail-covers of solar panels. Led by Topsail Rigging Limited. Website here. Minimum 3 types of wire splices taught, wire seizing, leatherwork, serving, the act up uprig & theory behind the rigging itself. All traditional ropework as well, including grommets, a range of splices, fibre seizing etc. We have yet to source our Blacksmith! Our network does include a number of professional blacksmiths, however SAILCARGO INC. is waiting until a later date to bring on this member of the team. Contact us today if you are interested in becoming the lead Blacksmith for Ceiba! Do you have an idea about another skill which could be featured? We are considering a wide rage, including Sustainable Energy, Forestry and Culinary.